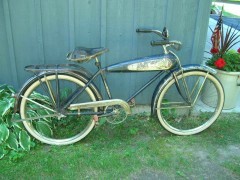 Rare original blue Aerocycle. 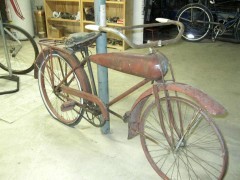 one of the pics shows it when it was pulled out of an old barn. it’s under house paint but the seatpost down tube wasn’t painted.